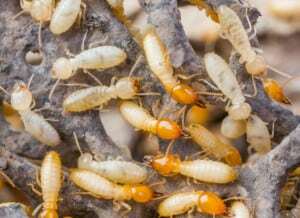 Now Offering Termite Removal Service | The Other Side Pest Control Inc. Now Offering Termite Removal Service | The Other Side Pest Control Inc.
Do you suspect that you may have termites? Call us for an inspection and we can provide options if you need a treatment for your home. Termites can cause serious damage to your home and property. ✔ Contact us for a termite inspection. ✔ We offer a 100% guarantee on termite removal service. It is always a better option to rely on our professionals at The Other Side Lawn & Ornamental Pest Control Inc. We have trained pest control experts who can perform termite treatments on your property, eliminating the colonies completely. For a termite treatment consultation, contact us at 863-688-8919 or send us an online inquiry! If you need a pest control company that can help you get rid of pests once and for all, turn to us at The Other Side Pest Control in Lakeland, Florida. The Other Side Lawn & Ornamental Pest Control Inc.
Lakeland, Plant City, Auburndale, Winter Haven, Bartow, Davenport, Lake Wales, Brandon, Polk City, Highland City, Crystal Lake, Eaton Park, and Winston, Florida!